Well rounded approach to music saw them write and compile compositions for artistes like Jahkey Malle, Curtain-raise for Raggae/Ragga/Dance superstars like; king Yellow Man, Maxi Priest, BennieMan, Ras Kimono among other performing artistes in Kenya and the Worldover. 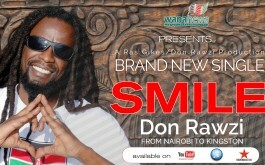 Don Rawzi’s affection for children has driven and molded him to a very passionate yet focused R&B/Raggae artiste. Commonly known as Don, Kabiru wa Wacera for 18 years. 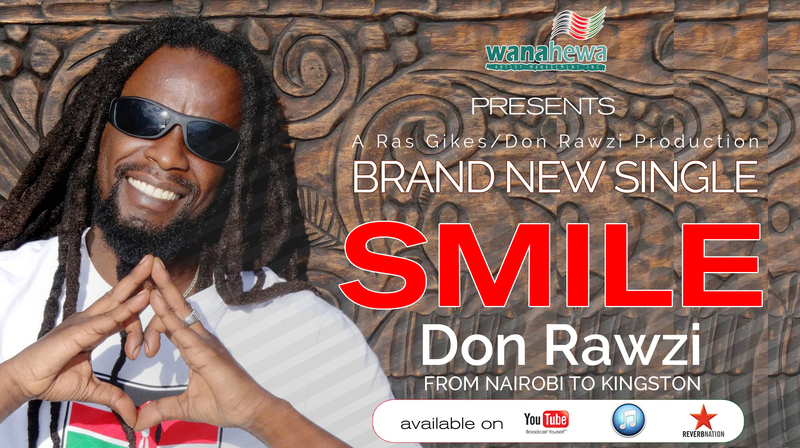 Don has performed all over Kenya as lead vocals for the Blaxxtones, an indigenous Band group from the outskirts of Nairobi. Well rounded approach to music saw them write and compile compositions for artistes like Jahkey Malle, Curtain-raise for Raggae/Ragga/Dance superstars like; king Yellow Man, Maxi Priest, BennieMan, Ras Kimono among other performing artistes in Kenya and the Worldover. In the recording studio, Don has done various musical pieces since 2000 with it after hit under his belt. Also as an Artiste manager and producer for acclaimed artistes in the music industry. This include; Mashifta, Watoto waMungu, Kalamashaka, Wenyeji, M.T.R, Shangilia Mtoto wa Afrika and UkooFlani/Mau Mau under his agency Wanahewa inc. Don Rawzi is an expert in Music Therapy and has worked with HIV positive kids and former street kidsto boost their self-esteem through performance and dance. Currently based in the USA, Don has been in studios like Mandugu Digital(Producer Ambrose Akwabi- Kenya), Rebel Liberation Sound – skenya, Powerbrokers studio – Wasington DC, Kemoy Mair Kswiss beats – Jamaica, Cue Recording Studio Also managing own stable through his StudioWanahewa in Maryland. 2001 – 2013 Nijipe moyo (Leemark Studio), Beautiful (LeemarkStudio), She (Feba Studio), Zion Karibu ft Mc Kah, Woman NoGood (Ceazar man and General Onyx Wilnag Studio), Shauri Yako,Lifetime Achievement Award – Shangilia Mtoto wa Africaproduction – Kisima Music Awards 2006, Best Hip-Hop Album(Wanahewa Inc) Kisima Music Awards 2006.